Provide your nurses and other health professionals with resources that manage competency, streamline workflow and support clinical decisions – fast. 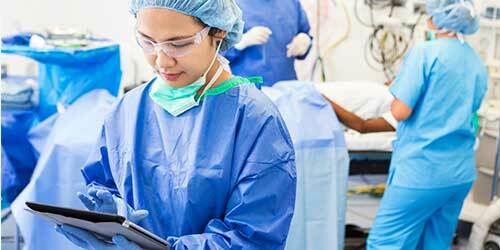 Standardize practice guidelines to ensure patient safety. Support professional development and workplace satisfaction with engaging continuing education. And maintain compliance with regulations and governing associations essential to your organization. Elsevier Nursing Suite online solutions are modular; they can be licensed individually, or combined for easy access and streamlined use. Comprehensive resources backed by the latest evidence-based information – The suite helps organizations support clinical decisions at the point of care, strengthen competency and provide continuing education for professional development. 1,600+ evidence-based skills and procedures with competency management functionality to help ensure knowledge and skills reflect the latest clinical guidelines. Expertly-delivered online courses to support practice improvement, orientation of new clinicians, and continuing education for experienced nurses and other health professionals. ClinicalKey for Nursing, the clinical search engine, delivers deep access to current evidence and clear answers, fast, to help nurses make better-informed decisions when every second counts. Stay on top of developments in patient care with white papers and more from Elsevier's leading experts. Our best-practice content covers topics related to nursing practice, patient care and continuing education. Providence Health and Services needed educational tools to orient new emergency nurses with targeted education that covered a wide range of topics, from triage to psychiatric emergencies. 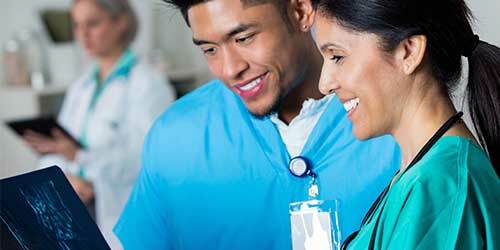 Learn how Clinical eLearning supported their efforts. Because the CNE has a wide range of responsibilities, they need tools to effectively address the demands of the role and create efficiencies wherever possible. The CNE faces daily challenges such as extreme changes in healthcare regulations, the need to evaluate the evidence that supports clinical practice.